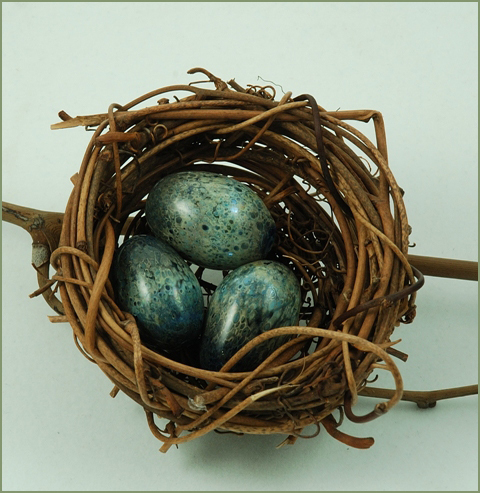 Faux bird's nest with three glass eggs. Nest measures about 7mm (3") across; eggs are approximately 3mm (1-1/8") long. 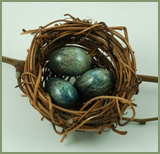 If you already have a nest, contact the artist for eggs in an alternate size or color.